I started Write and Thrive because I have a great passion and belief in the many benefits of writing. This comes from personal experience and from helping others to write. 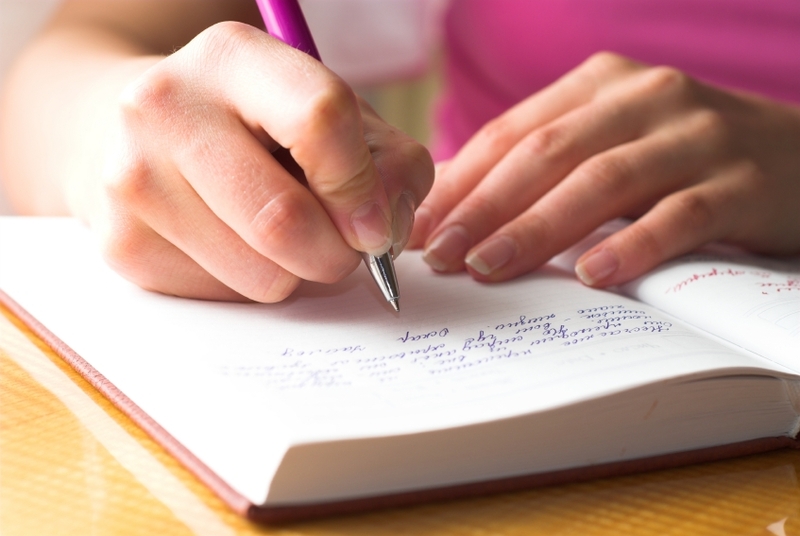 Whether it’s for creativity, self expression, reflection or as a strategy to make sense of and overcome obstacles and challenges in life; writing can be transformative. 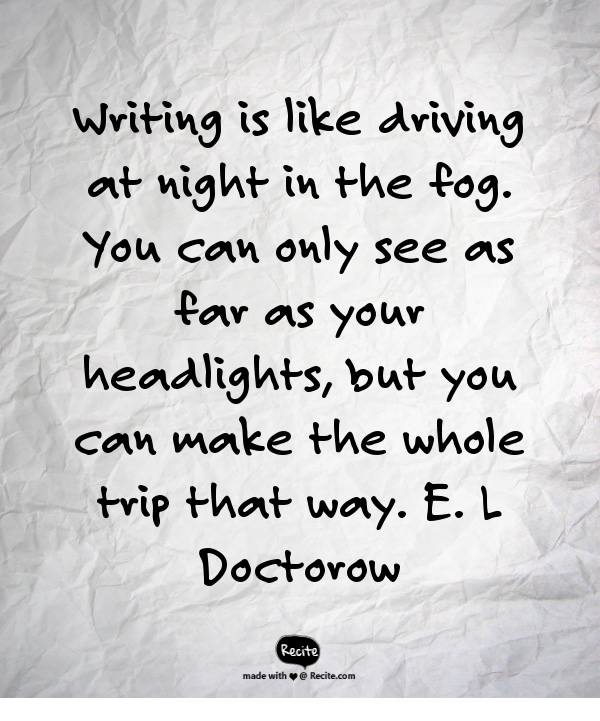 Today I’m going to focus on the use of writing to overcome obstacles, and, more specifically, how it can help overcome obstacles to writing. I think that my own experience of writing this post will illustrate the point. The development of the Write and Thrive website and blog is a new project for me. In the early stages, my blog posts have been mainly writing prompts and links to relevant articles and topics. This is my first opinion piece for the blog and, as I approached it, the experience and knowledge I have of the subject matter appeared to vanish. I doubted myself and struggled to imagine that I could write something that would be valuable and informative. A rush of negative thoughts: I can’t think of anything; it won’t make sense; I will make a fool of myself. These were followed by uncomfortable feelings: churning in my stomach, shortening of breath. 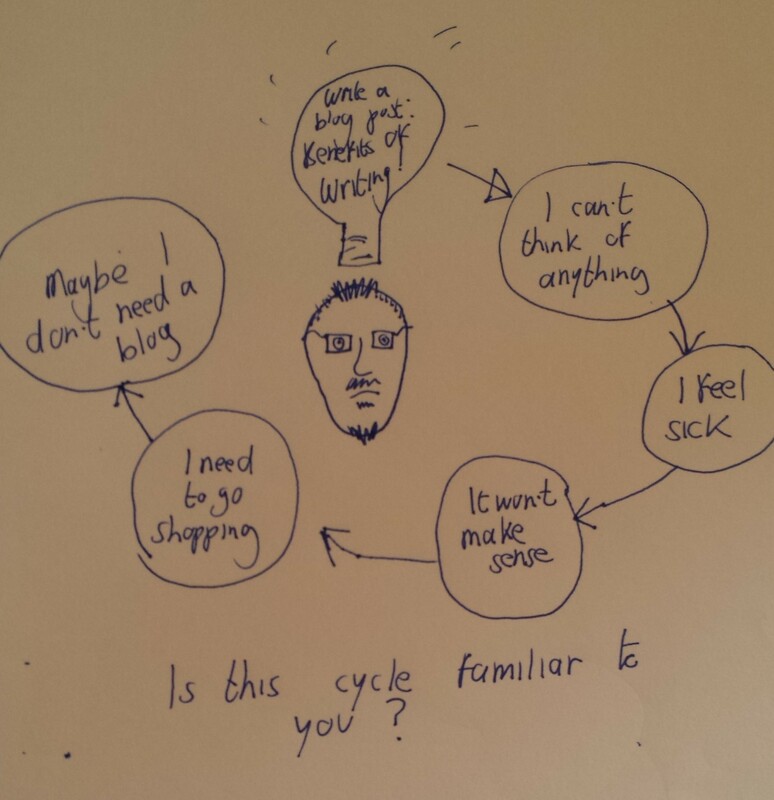 The cycle continued with further negative thoughts dressed up as rational responses: I’m still on holiday, I don’t need to do any work; maybe I should think of something else to write about; maybe I don’t need a blog. I couldn’t get started. I prevaricated. The cycle continued. I distracted myself: made coffee, went for a walk, tried to read a novel, played a computer game, made a shopping list, went to the supermarket. I still wanted to do this though and the longer I avoided it the more uncomfortable and disappointed I felt. At times like this, I turn to my journal. I knew I had to write about the problem I was having with writing. I wrote how I was feeling, what I was thinking. It was uncomfortable at first but fairly quickly I noticed a reduction in my anxiety. As I continued to write I moved from expressing how I thought and felt to reflecting on writing and how it can be helpful. Ideas were forming, content for the blog. I noticed a shift in my mood, a sense of hope and excitement – I was creating something. This was going to be OK. Of course I had ideas. Of course I had something valuable to contribute. I wrote for thirty minutes and when I read it back the next day I realised my next challenge was to focus. I had too much material, too many ideas for one blog post. It was a good feeling. When I started to write about this I noticed a change: less frequent negative thoughts, a settling of the stomach. I could think again. I developed a deeper understanding of why I was struggling. Not being clear about the nature of the obstacle was part of the problem. I noticed that ideas started to form as my pen continued to move. I had found a safe space for curiosity, play and creativity. Writing how I thought and felt gave me some distance and also meant I could revisit it. Reading it the next day was encouraging but also enabled me to see it with fresh eyes, gain new perspectives, make choices, plan next steps. Each time I make use of writing in this way I’m reminded and further delighted by how calming and clarifying it can be. 1. Start writing about it. Give yourself a time limit, fifteen minutes. You don’t need to know what you’re going to write. Just start and see where it takes you. • What is stopping me? • How do I feel when I think about this? • What can I think of that might help me with this? • What’s your next step and when will you take it? Write it down. I’d love to hear about your experience of trying these strategies. Please feel free to let me know in the comments section. 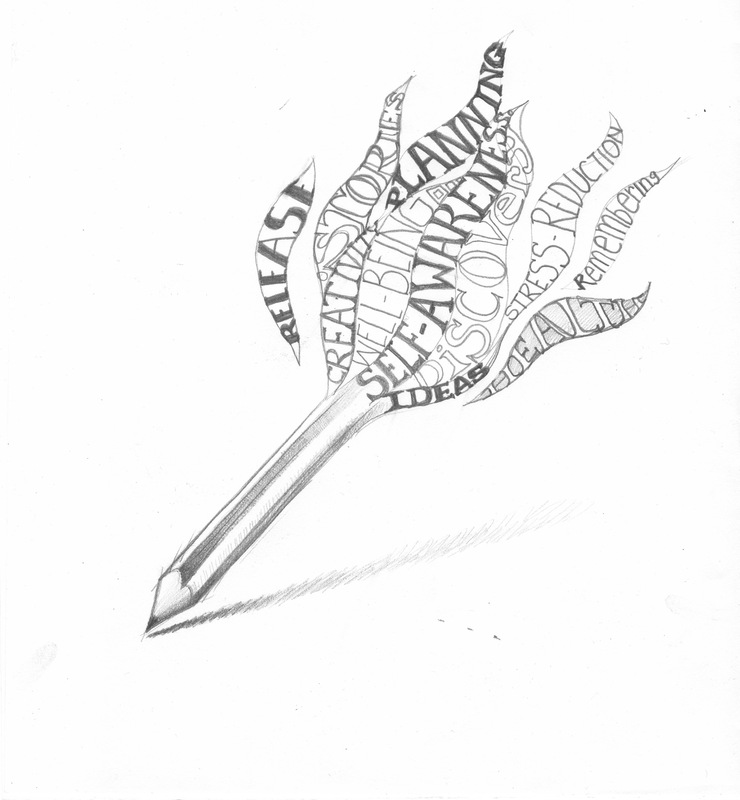 The Superpower of writing – what else have you found helpful? Please share any other ideas and strategies you’ve found to make use of the Superpower of writing in the comments. 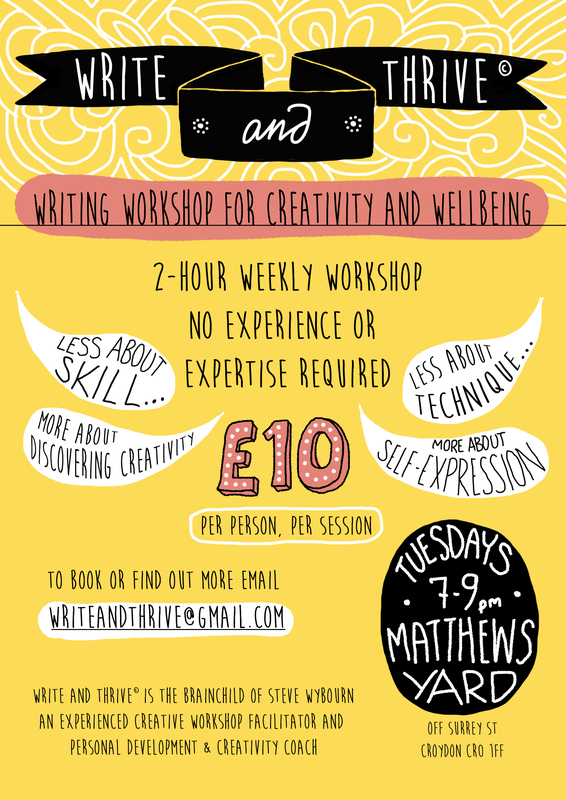 Write and thrive, weekly writing workshops for creativity and wellbeing started on 8th September 2015.